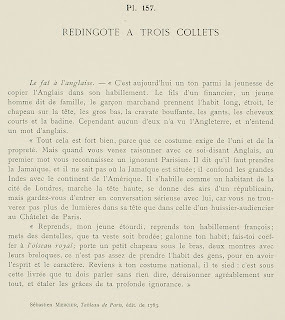 The popinjay à l'anglaise. - "It is today a ton among the youth to copy the English in their dress. The son of a financier, a young man said to be of family [? ], the boy merchant wear the long, narrow suit, hat on the head, heavy stockings, puffy cravat, gloves, short and badine hair. However, none of them have seen England, or heard an English word. "All that is very well, because this costume requires unity and propriety. 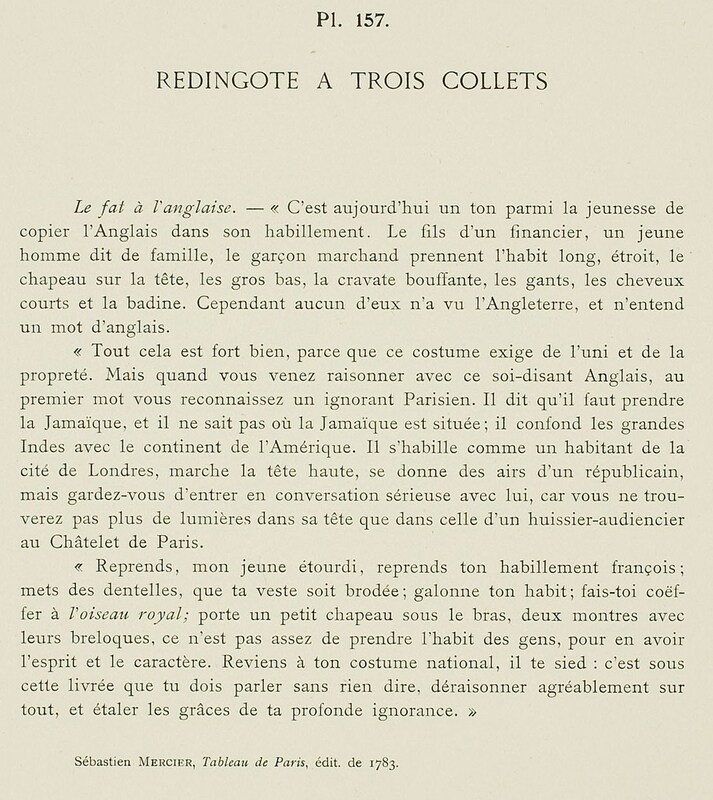 But when you come to reason with this self-styled Englishman, at the first word you recognize him as an ignorant Parisian. He says that he must go to Jamaica, but he does not know where Jamaica is situated; he confuses the East Indies with the continent of America. 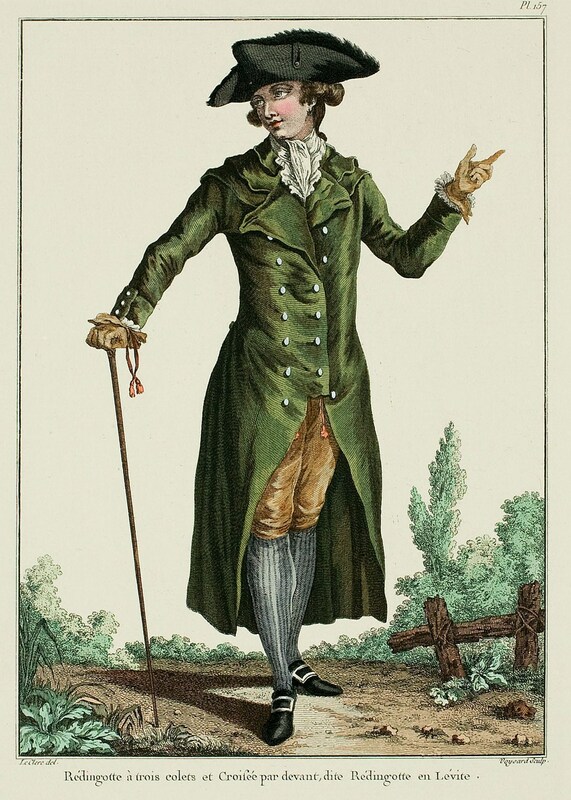 He dresses like an inhabitant of the city of London, works the high head, gives himself the airs of a republican, but beware of entering into a serious conversation with him, for you will not find more light in his head than in that of a court usher at the Châtelet de Paris. "Return, my young scatterbrain, return to your french dress; put on lace, that your vest may be adorned; put braid on your suit; make your coiffure à l'oiseau royal; wear a little hat under your arm, two watches with their fob charms, it is not enough to take a people's dress, to get their spirit and character. Return to your national costume, it becomes you: it is in this livery that you must speak without saying anything, rave agreeably on everything, and flaunt the graces of your profound ignorance."